Philip Morris International has defended its new online marketing campaign against plain tobacco packs. 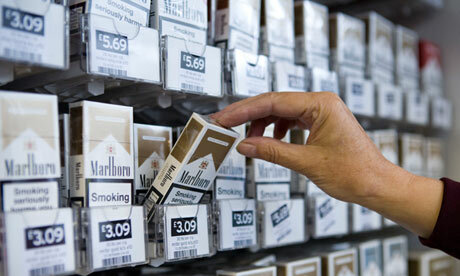 Smokers of Marlboro cigarettes have been finding inserts with messages on them inside their packets. The inserts invite them to visit a new campaigning website called Know-more.co.uk. On its website Phillip Morris lists reasons why it thinks the government should not introduce plain packaging. A Philip Morris International spokeswoman told Packaging News: “Adult smokers and tobacco retailers in the UK face some of the strictest tobacco control regulations and pay some of the highest cigarette taxes in Europe, but typically they do not know about these policies until after they have been enacted. Stephen Williams MPhas been given an award for his anti-smoking work by the World Health Organisation (WHO). The BBC reported on the award. 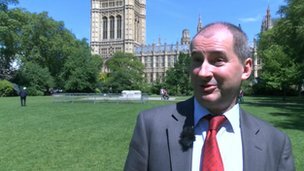 Liberal Democrat Stephen Williams currently chairs a parliamentary group on smoking and health. He said: "Smoking causes people to die sooner than they would otherwise and that's one of my childhood memories of my father dying at the age of 42." Mr Williams was awarded a WHO World No Tobacco Day award for the European region, for his years of campaigning. His work has included pressing for a ban on smoking in public places. He added: "In every election I've ever stood in someone asks you if there was one law you could change what would it be? And going back 20 years I've always said I'll do whatever it takes to reduce smoking."